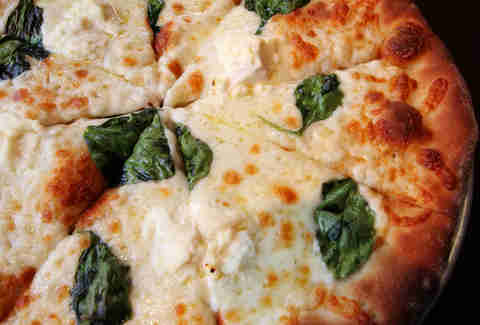 Likely the only restaurant where the owner can just as easily serve you a pizza as a standing moonsault, Squared Circle's owned by pro wrestling’s vicious vixen, Lisa Marie Varon. 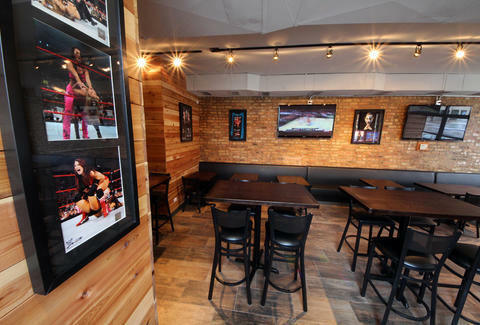 The Lincoln Park pizza & burger joint’s walls are filled with WWE and TNA memorabilia and enough wood paneling to make Hacksaw Jim Duggan mildly aroused, setting the stage for you to down craft brews while taking in a pay-per-view event. 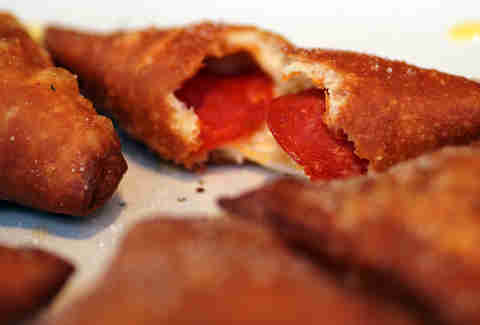 Get started on your mission to replicate Yokozuna's physique with a basket of pizza wontons filled with pepperoni and dusted with parmesan. 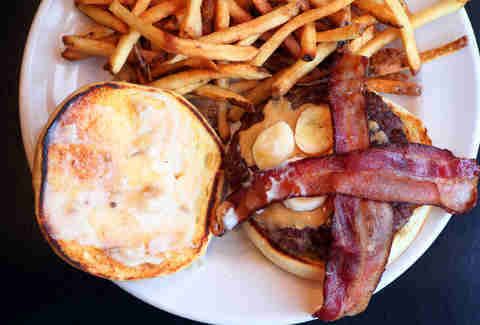 If it's more of a quintessentially American heaviness you're after, The Fat Elvis is a peanut butter-stuffed burger with bananas, bacon & banana-infused ricotta. House specialty deep dish pies come with a duck fat caramelized crust, but if that doesn't sound awesome or The Story About Ping deeply affected you as a kid, there’s also ample thin crust action like this white-sauced Lisa Marie topped with caramelized onions, blue cheese, prosciutto, apple & arugula. 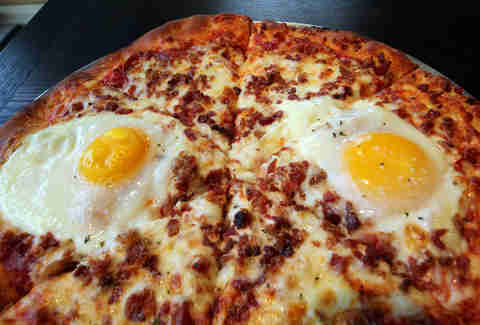 If you happen to stay too late one night downing brews and arguing about CM Punk, just head back the next day for the pepperoni, bacon & egg Hangover Helper.